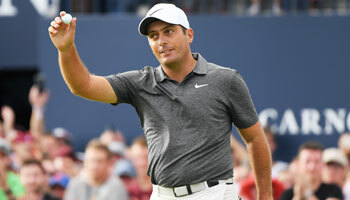 It may actually be the sixth event of the season, but the Abu Dhabi HSBC Championship feels like the true start of the European Tour, Phil Casey writes. 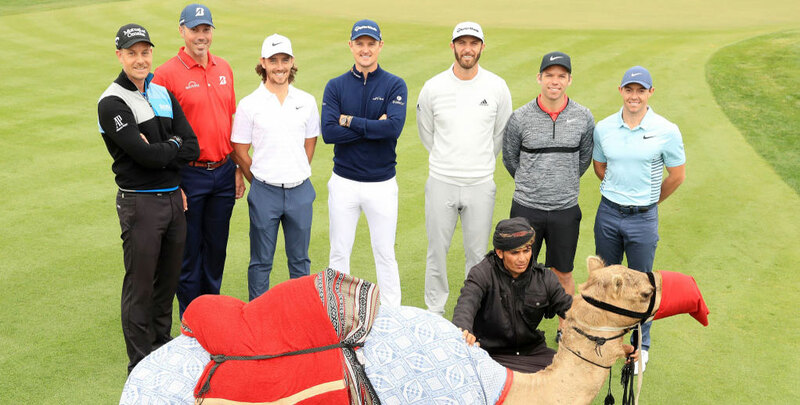 After relatively low key tournaments in Hong Kong, Australia, Mauritius and South Africa, a world-class field has assembled as usual in the desert and promises a thrilling contest between some of the game’s biggest names. World number one Dustin Johnson has crossed the Atlantic on the back of an eight-shot win in the Sentry Tournament of Champions and was second last year – thanks to an eagle on the 72nd hole – behind Tommy Fleetwood. Fleetwood went on to end the year as European number one and will play the first two rounds alongside Johnson and the returning Rory McIlroy, who called an early end to his injury-plagued season after the Dunhill Links last October. McIlroy was absent with that rib injury last year and missed the cut in 2013 when just starting out with his new Nike equipment, but otherwise has an amazing record at Abu Dhabi Golf Club which reads 11-5-3-2-2-MC-2-2-3. Clearly we have no recent form to go on but McIlroy was close to making an early return in the DP World Tour Championship in November and is desperate to make up for lost time having slipped to 11th in the world. It would be nice to have McIlroy and Johnson both on side, but with Johnson a 9/2 favourite and McIlroy available at 8/1, the preference in our Abu Dhabi HSBC Championship betting tips is for the Northern Irishman to come back with a bang. Staying at the top of the market, our second selection needs little explaining, with world number six Justin Rose in the form of his life at the end of 2017. 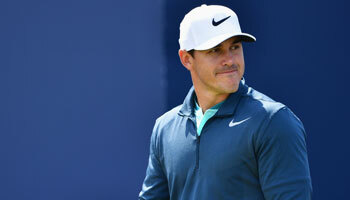 Rose finished no worse than 10th in his last 10 events worldwide, collecting three wins and almost snatching the Race to Dubai from Fleetwood at the death. The Olympic champion has only played in Abu Dhabi twice, but was second on his debut in 2013 and 12th in 2015 so is worth backing in the each-way market at 7/1. With two short-priced players on board it makes sense to round off our Abu Dhabi HSBC Championship predictions with some bigger prices and Dean Burmester fits the bill despite a disappointing showing last week. Burmester had no chance of justifying our faith after an opening 77 in the BMW SA Open, but at least bounced back with a 67 to make the cut and while he was 22/1 on home soil, he is 125/1 in the Abu Dhabi HSBC Championship betting odds, having been seventh on debut last year. Such a generous price is sadly not available for Rafa Cabrera Bello, but 35/1 is still worth an interest in a desert specialist who was a shot off the halfway lead 12 months ago and warmed up for the event with a decent performance in the EurAsia Cup.